How to Stay Safe on the Playground this Summer | Rubber Safe Playgrounds Inc.
School’s out for summer which means that most kids will be hitting the playgrounds, and while you do your best to ensure their safety, it can be hard not to worry. Many kids are treated yearly for playground-related injuries as a result of unsafe play. However, there are many things that you can do to help children remain safe while still enjoying the playground. One major thing to remember is how important sun safety is while playing outside, playgrounds included. Getting one severe sunburn can significantly increase your chances of skin cancer later in life so be cautious. Be sure to lather the kids up before they hit the swings and help them reapply to sensitive areas such as their faces and necks. Slides and swings can get really hot in the sun so teach your kids to test the surface before they sit or climb on top of them. It’s possible to get badly burned from scorching hot playground equipment which would put a major damper on your summer plans. Speaking of swings, make sure to teach your kids swing safety. 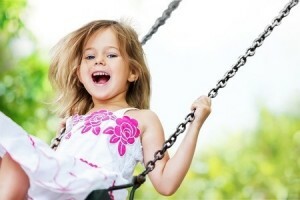 Children should never run across the swing area where they could get kicked by someone else swinging. Always stay a safe distance and walk around. Playground that has rubber mulch is much safer for children to run around on and it will help protect them if they fall off of a swing or a jungle gym. Plus, its cleaner when compared to mulch or dirt since it doesn’t rot or hold bacteria. The most important thing you can do to keep your children safe on the playground is to simply watch them. Adult supervision is critical to keeping children safe in summer months. Are you looking to add shredded mulch to your playground in order to make it safer space? Visit Shredded Mulch’s website now to learn more.